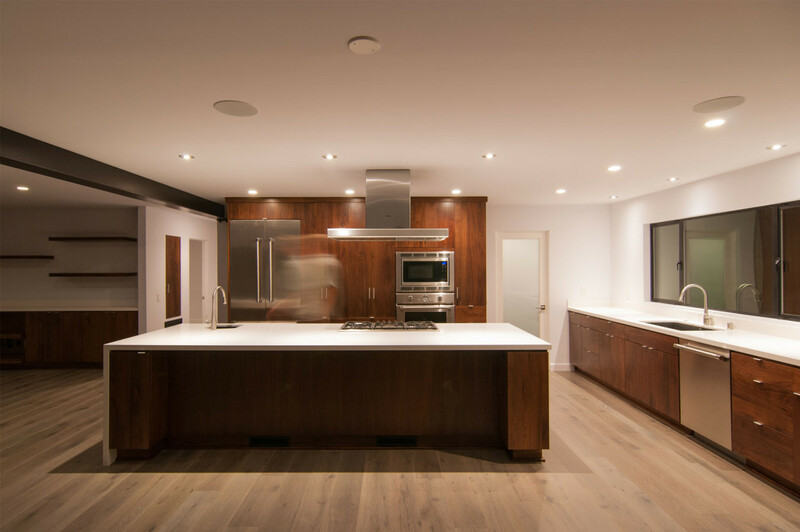 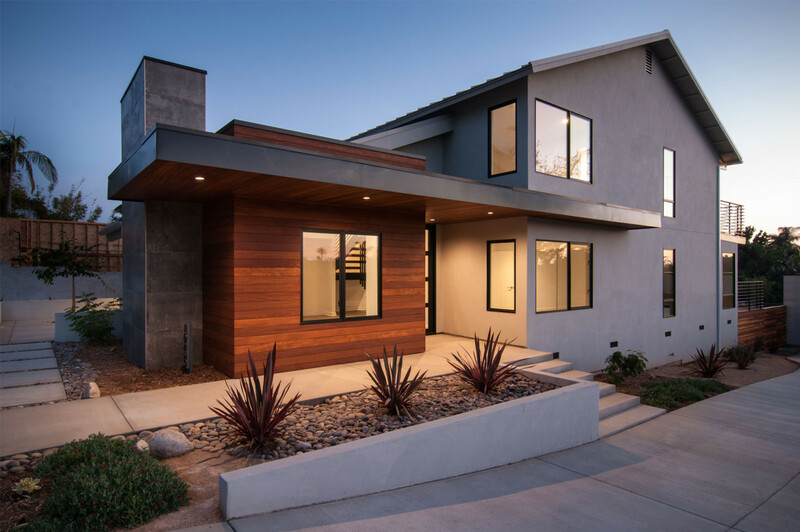 The complete renovation of this existing single-family home took the existing structure down to the studs. 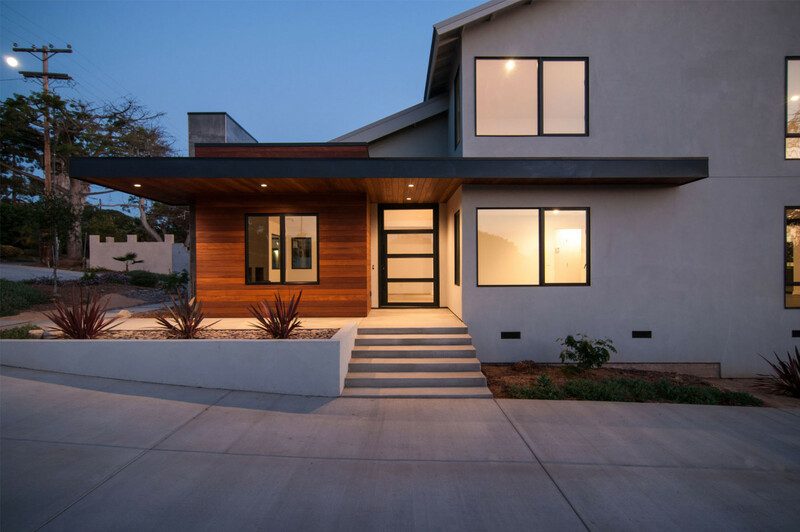 The addition of a new wood-clad box and cantilevered roof mark the entrance. 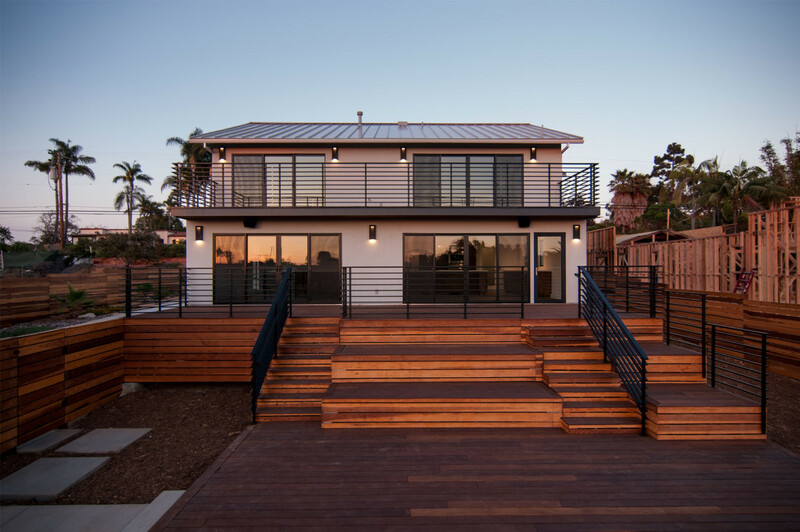 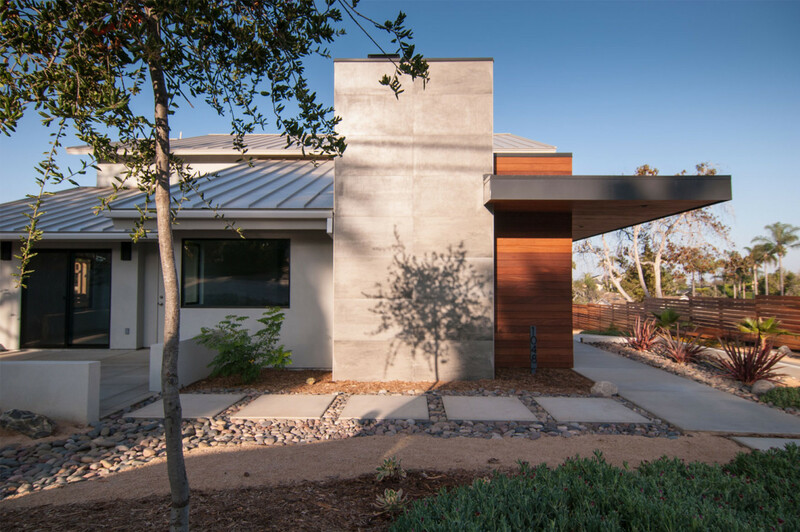 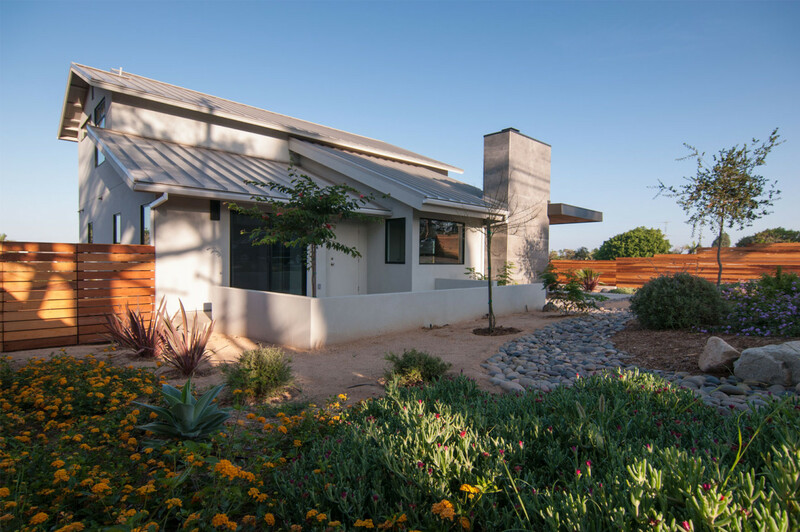 Smooth stucco, large-format tile, a standing-seam metal roof and black aluminum windows and doors complete the material palette. 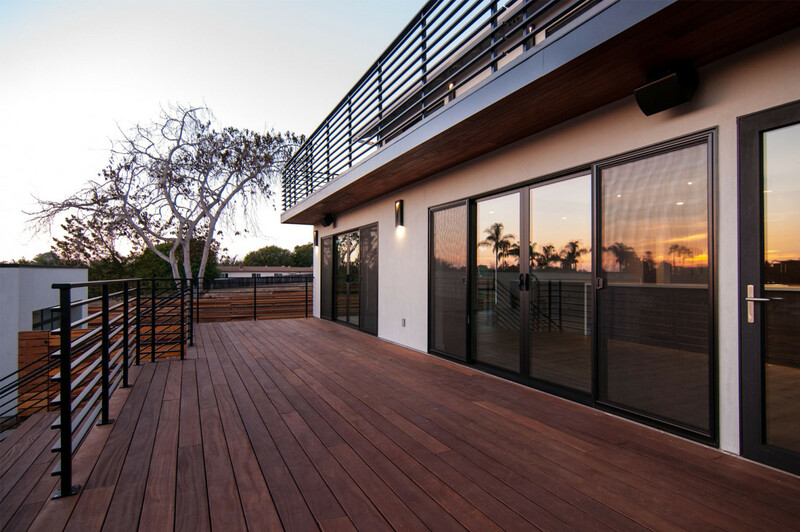 The challenge of a receding ground plane at the rear of the house is met with a stadium-seating style deck which graciously engages with the large back yard.